Thanks for your interest in the Little Tiger Chinese Immersion School. Little Tiger is a PreK, Kindergarten, and Lower Elementary school that is conducted almost entirely in Chinese. This makes us unique in the Austin area. 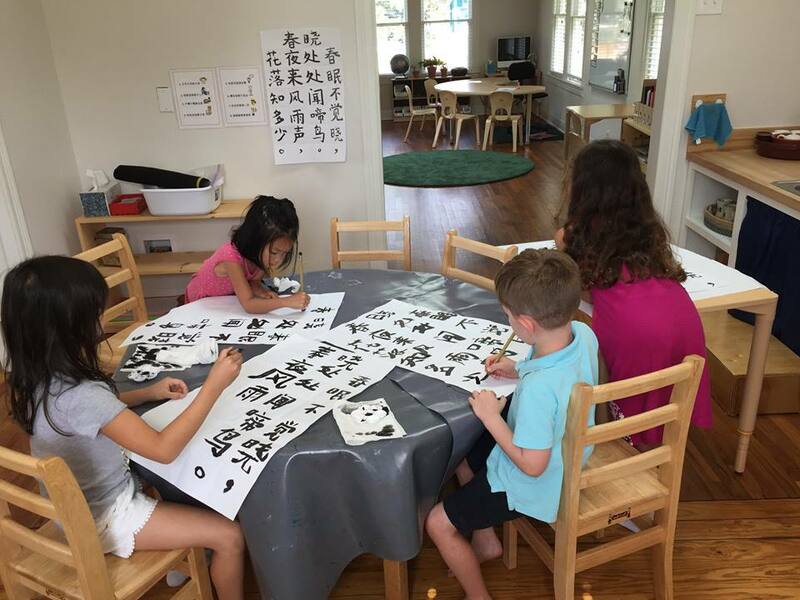 In addition to emphasizing Chinese, our goal at Little Tiger is to help each child flourish physically, socially, emotionally, and academically. If our vision for Little Tiger excites you, please be in touch. We’re always happy to hear from new families, and we welcome an opportunity to visit with you at our campus. Program Overview: What is Little Tiger? The Little Tiger Chinese Immersion School grew out of our work at Chinese with Meggie Language School. After ten years of building a wonderful community of Chinese language learners, we decided to launch Little Tiger, a full-day PreK, Kinder, and Lower Elementary school. 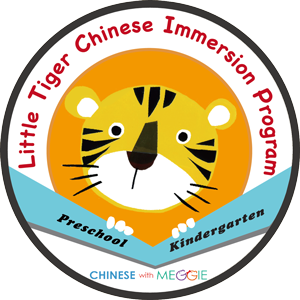 Little Tiger is a full Chinese immersion program, meaning that nearly all activities and lessons are conducted in Chinese. Students do not need to have any prior to exposure to the Chinese language to enroll. Children attend 4/5 days per week, Monday through Thursday/Friday, from 8:30am to 3:30pm. Afterschool programs — Spanish, theater, music, and supervised free play — are also available. What are the beliefs and goals of that guide Little Tiger Program? At CWM and Little Tiger, our teachers strive to create a fun, creative, and engaging environment in which children can flourish. We also aim to help students develop creativity, independence, confidence, tolerance, and respect. Little Tiger allows for sustained, daily exposure to the Chinese language. Students become fluent in Chinese through work and play. In addition to developing language skills such as listening, speaking, reading, and writing, we also incorporate all of the other kinds of learning typically covered in traditional PreK and Kinder programs. These include language arts, math, science, art, practical life, and physical education. We also place a great emphasis on creative play. What are some benefits of learning a foreign language at a young age? We are deep believers in the benefits of learning a foreign language from an early age. Young children have a natural ability to absorb language with an ease that no adult could hope to match. Research shows, in case after case, the benefits that learning a second (or third) language has on a person’s cognitive development. We also believe that exposure to foreign language and cultural practices is particularly valuable to our students, who learn from an early age to be open-minded, tolerant, respectful, and inclusive. Such preparation is vital in a world where educational, professional, and social opportunities are increasingly intercultural.